Really? Is one blog post a month all I can manage? That is so lame. I swear, I am going to do better. I have been gardening and harvesting, just not blogging about it. 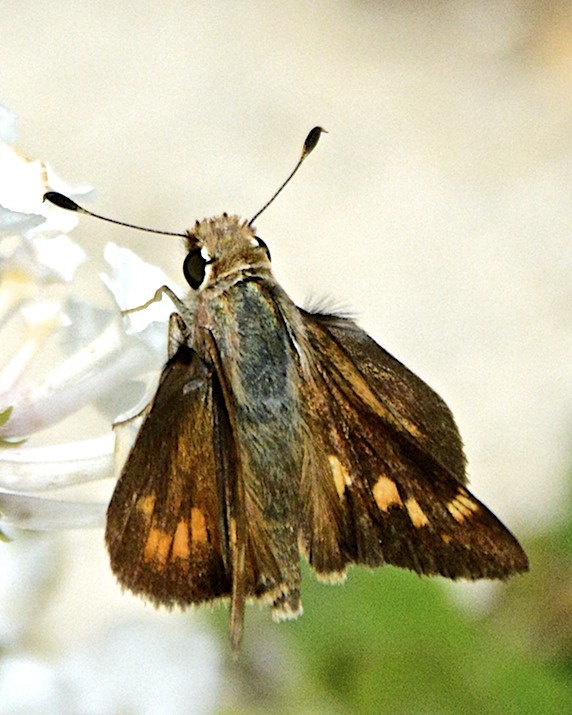 Too busy learning to use my wonderful, NEW, Nikon D7100 camera with 18-300 m lens. Wow, best digital camera I have ever owned. 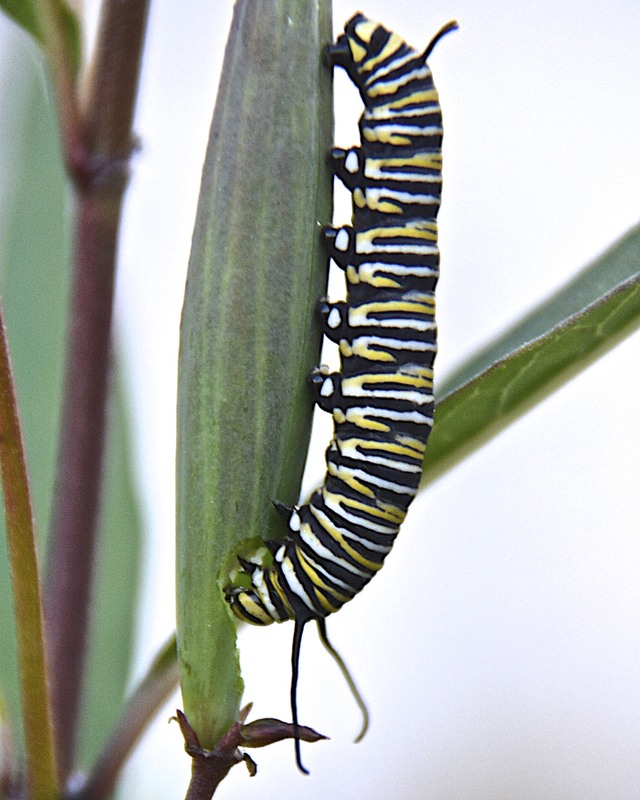 Before I get to this week’s harvest, check out these critters in my garden. 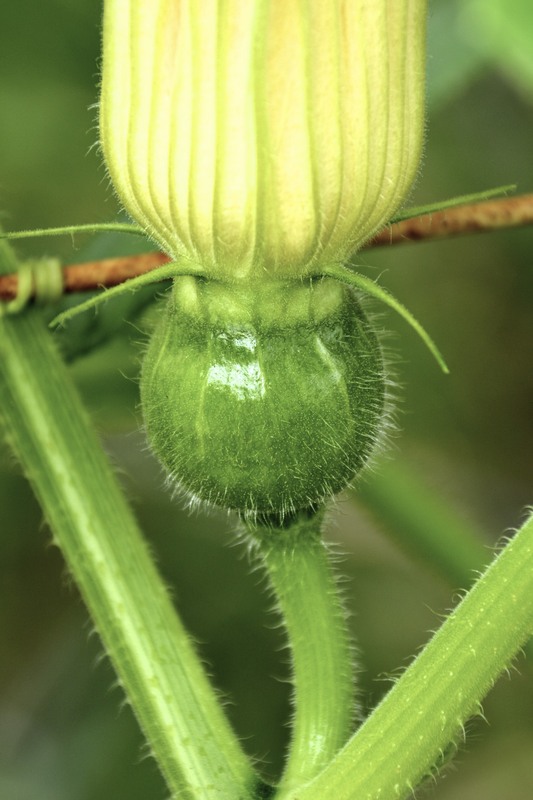 This female buttercup squash flower has a nice ovary at the base of the flower that will become a buttercup squash in a couple of months, assuming the bees did their job of pollinating the flower. I have a half dozen buttercup squash that are just now beginning to set fruit. The butternut squash aren’t even that far along. I sure hope my winter squash out-perform my non-producing summer squash plants. I had some other photos that I wanted to show, like the PILE of cucumbers that I’ve been harvesting the last couple of weeks. But I can’t find the pics! I am not very good at using Aperture yet even though I have had my iMac for a year now. For some reason, most of the last year’s worth of photos seem to have disappeared this morning. I will deal with that issue later. I’ll just work with the photos that I do have. Here is my weekend pickling project. 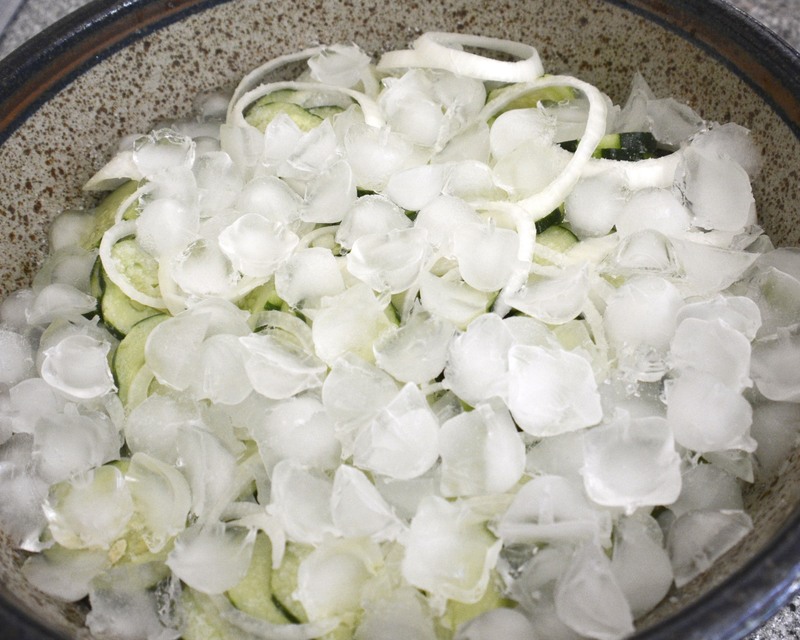 The first step in making bread and butter pickles is to slice cucumbers and onions and let them sit with salt and ice for two hours. I used 4 lbs of sliced cucumbers and two large sliced onions, plus 1/3 C salt. I brought the cukes, onions and liquid back to a boil, then ladled everything into 6 clean, hot pint jars. I added sterilized lids and rings, then lowered the pints into a boiling water bath and processed the jars for 10 minutes. I then set the jars on a clean cloth towel to cool down. Today I will make labels for the lids. Then I will probably start another batch of pickles. Here is one morning’s harvest from the past week. It went into a delicious omelette. 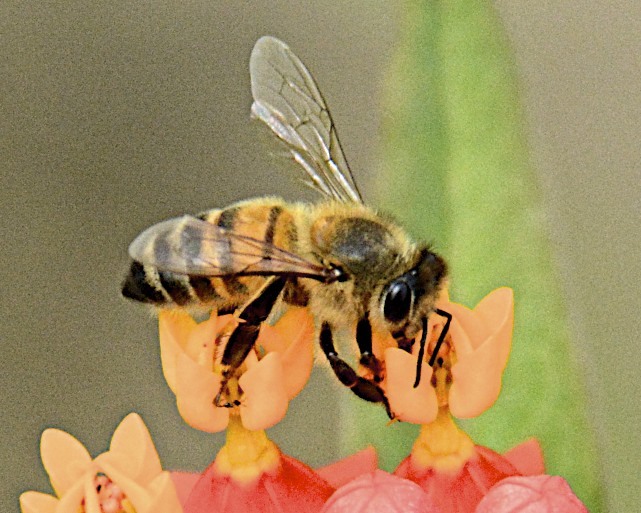 Male squash blossom are good in omelettes or scrambled eggs. Just slice them and add like any other vegetable that you would put into an omelette. 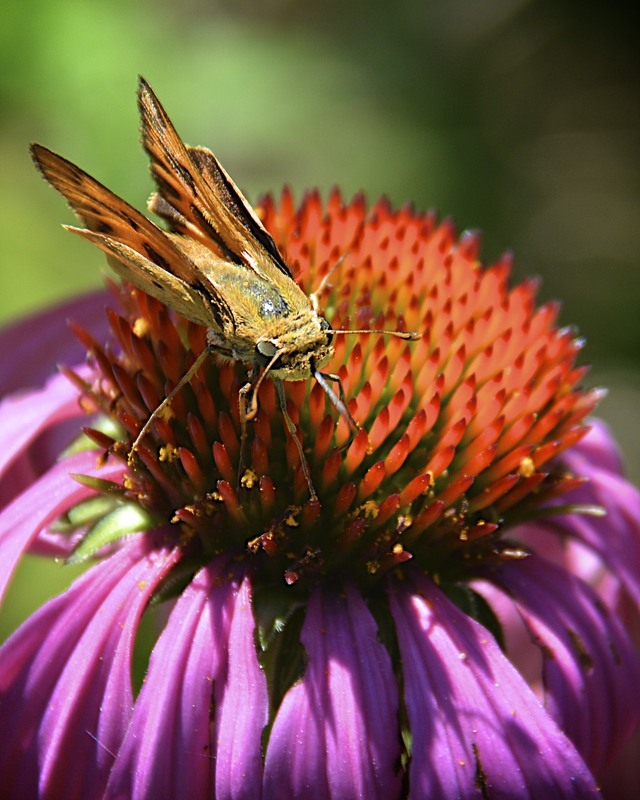 The green base end with the stamens and pollen is loaded with protein, so use that too. HARVEST from the week ending August 11, 2013. Look at that, no tomatoes and no summer squash. It has been a crummy year in my garden for both. If you had a harvest, or to see what others are harvesting this week, visit Daphne’s Dandelions. A link is in the sidebar to the right. 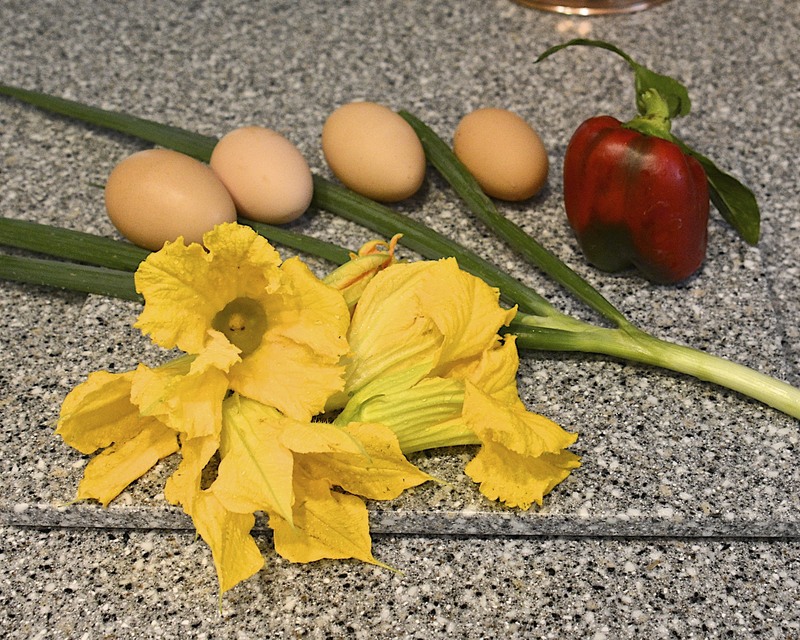 This entry was posted in Uncategorized and tagged backyard chickens, bread and butter pickles, cucumbers, edible flowers, Harvest Monday, how to, photos, pickles, recipe, southern California, squash blossoms, urban chickens, vegetable garden. Bookmark the permalink. Um, I’m sure you meant INSECT photography, Ben. Thanks. I’m loving my new camera. Beautiful photos. 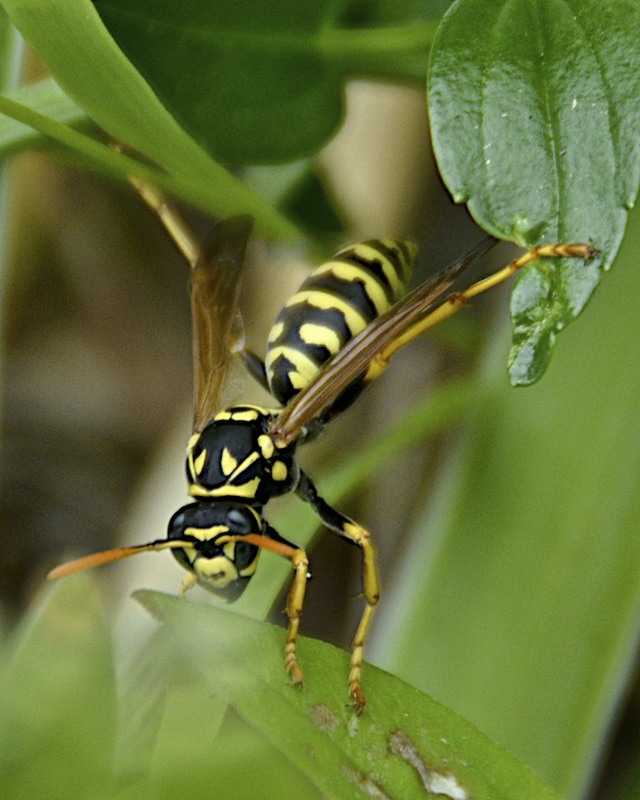 How did you manage to take the photos of the flying insects? It’s like they were posing for you. Thanks for sharing. Sheer luck, Norma. And shooting hundreds of pictures. Digital is grand. I need to make bread and butter pickles too. But I swear I’m only going to make a little this year. I really don’t eat a lot. I need about two maybe three jars. So maybe I’ll make half a recipe. I eat a lot of refrigerator pickles, but not the canned ones. I like the crunch too much. Daphne, maybe I’ll try making some refrigerator pickles. I like crunch too. 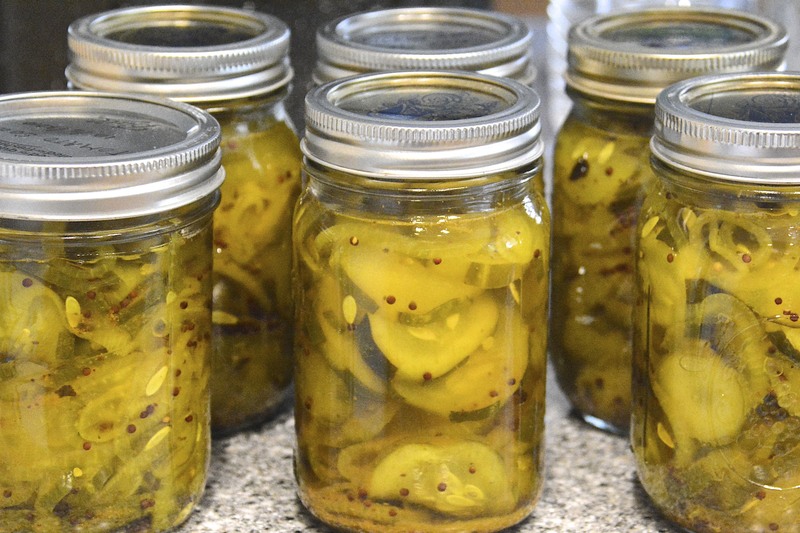 But first there is this horrible-sounding recipe that I want to try–candied dill pickles.